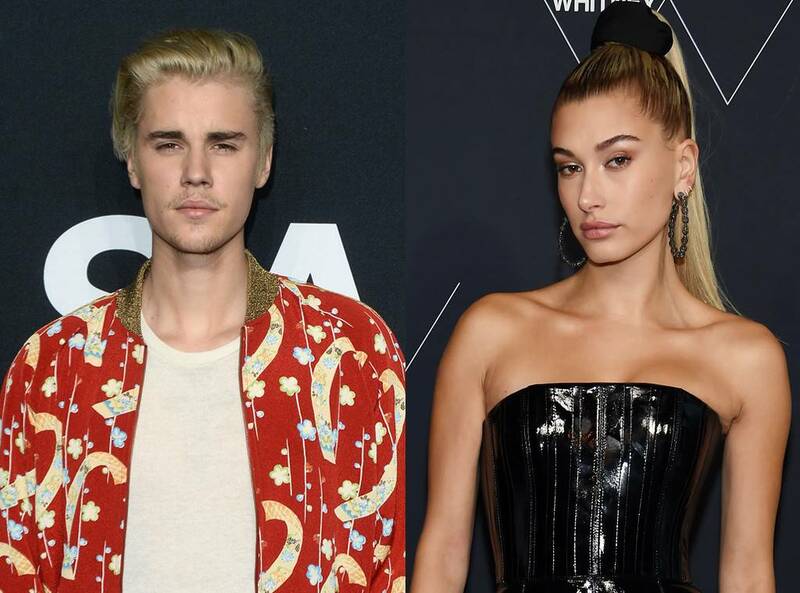 Though Justin Bieber and Hailey Baldwin have denied being married, it has now been revealed that they actually tied the knot last month in New York City but chose to lie about it. The young lovebirds got married the same day they got their marriage license at the courthouse. For the wedding, their preacher was Jeffrey Quinn, a member of the faculty at Nyack College near the courthouse. The witness was Josh Mehl, a friend of Justin's who attends Churchome in Los Angeles. Justin and Hailey both reached out to lawyers for a prenup on the very same day they got married, but there was no way to get a prenup drafted and signed that quickly. So, they got married without a prenup and there's been no move to have one drafted now. One source said Justin is so in love he doesn't see the need for a prenup even though his net worth is estimated at $250 million and Hailey is reportedly worth a couple of million. TMZ reports that the couple still plan to have a formal ceremony, but it would be a ceremony in name only because they are already husband and wife. © Hanna Franzen/TT News Agency via Reuters The 2018 Nobel Prize laureates in physics, Arthur Ashkin of the United States, Gerard Mourou of France and Donna Strickland of Canada, are announced at the Royal Swedish Academy of Sciences in Stockholm on Tuesday. Donna Strickland, an associate professor at the University of Waterloo in Ontario, on Tuesday became the first woman in 55 years and the third ever to win the Nobel Prize in Physics, sharing it with an American scientist and another from France for their work in laser physics. The Swedish Royal Academy of Sciences on Tuesday said half the $1.28-million Cdn prize goes to Arthur Ashkin of the United States, and the other half will be shared by Strickland and Gérard Mourou. The academy said Ashkin, who is the oldest person ever named as a laureate at 96, developed "optical tweezers" that can grab tiny particles such as viruses without damaging them. Strickland, 59, and Mourou, 74, separately helped develop short and intense laser pulses that have "opened up new areas of research and led to broad industrial and medical applications," it said. Their discoveries became the standard for high-intensity lasers used in millions of corrective eye surgeries every year, among other applications. Strickland is the first female Nobel laureate to be named in three years and is only the third woman winning in physics: Marie Curie earned the award in 1903 and Maria Goeppert Mayer in 1963. "Obviously we need to celebrate women physicists, because we're out there. And hopefully in time it'll start to move forward at a faster rate, maybe," Strickland said in a phone call with the academy after the prize announcement.